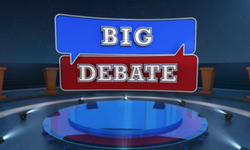 TV9's flagship debate show that addresses all the aspetcs of a top story and given an analytical perspective from both sides of a coin,Anchored by Rajnikanth.renowned broadcast journalist and Executive Editor of TV9.Big News Big Debate is the flagship show of TV9. 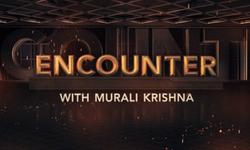 Encounter with Murali Krishna is the flagship show of Tv9. 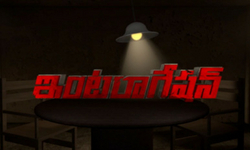 The format is in depth interview with a dynamic style of tough questioning and this has made it extremely popular with the Telugu audience. An indepth program which takes up number of social and current topics that impact the society and the people. 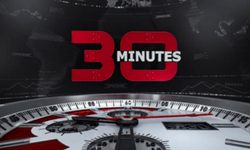 Presented in a lively style and comprehensive script, 30mts is a very popular program. TV9 News Reporter Jaffar known for interrogative, hard hitting style of questioning has taken another step, moved ahead in 'Interrogation'.A direct, frank, no holds barred interview with news makers.